Hanmin Weaving Craft Company is a fully owned subsidiary of Coe & Dru, Inc.. Our organization, the O.E.M. in China and ownership in the U.S. is the only one in the industry. We are located at Xiatian(pronouce as Shatian) Industrial Estate, Village of Long Tian, Kengzi Township, in Long Gang District of Shenzhen. 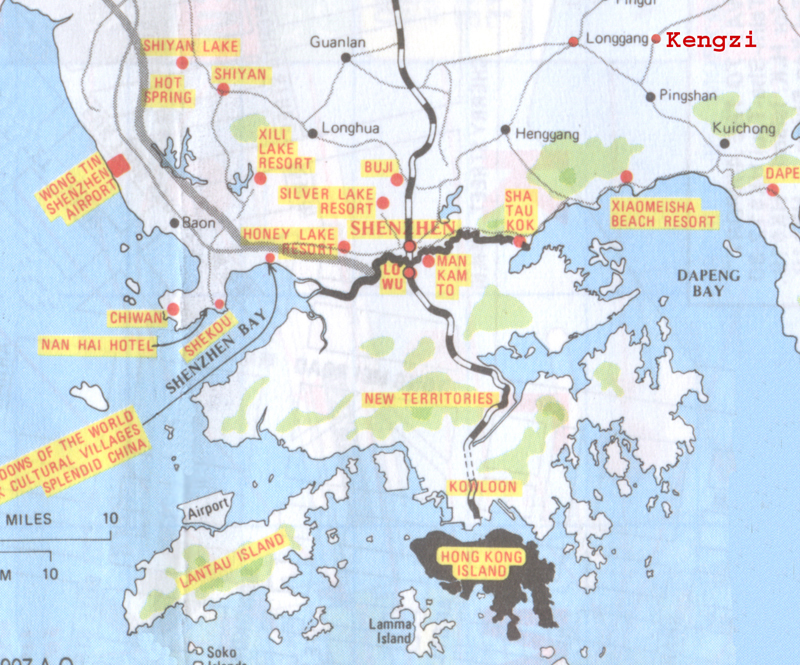 You can visit us from Hong Kong, by bus, by train, or by hovercrafts. Shenzhen is a Free Economic Zoon where China is testing Capitalism. For example, visiting elsewhere in China requires a visa which can only be obtained through long lines of work. The requirement is different in Shenzhen. China will grant a visa to any one with a passport upon arrival. However, this policy excludes people travelling on U.S.A. passport at this moment. Xiang Chang, the master in Basketery works. 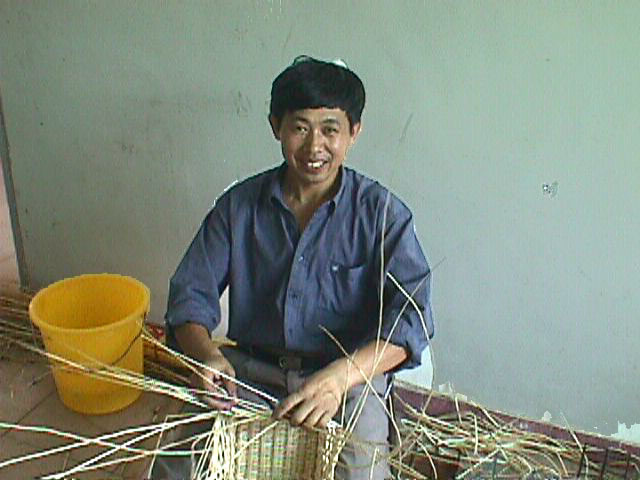 Watching him making basket is quite an experience to most of our visitors. In our showroom you can see the most complete collection of basketware in China. Send us an e-mail. We will meet you at the Shekou Ferry Terminal, the Loufu Train Terminal, or the Shatoukou Passenger Terminal. Do not worry if we have never met you. Send a fax to (86)755-84122868 or e-mail your itinerary to basket@hanmin.cn. We will meet you with a sign of your name on. The map below gives you some idea on where we are. Click here to visit Hanmin Craft Company website, or go back to the Where to Find Us page, or to return Home.